These tips follow on from Sarah’s case study about her mum, and the attempts by the hospital discharge team to discharge her mum without the proper NHS Continuing Healthcare funding assessments. Part 2 and part 3 highlight some vital initial tips. Throughout the Continuing Healthcare assessment process, whoever holds power of attorney should be consulted at all times and should have a copy of all assessment notes (Checklist, Decision Support Tool (DST), Fast Track, etc.) and be asked to input fully into all assessments and decisions. A power of attorney is an important legal document, and all health and social care staff have a duty to acknowledge this. If your relative has not yet made a power of attorney, but they still do have the mental capacity to do so, it’s vital that this is done as soon as possible. Read more about Lasting Powers of Attorney. If your relative has not made a power of attorney and they no longer have the mental capacity to do so, you may be nevertheless able to apply for a Deputyship Order from the Court of Protection. Remember that a will and a power of attorney are two different things. Be aware that the NHS is notoriously bad at telling families about NHS Continuing Healthcare funding for full time care, so stand firm and don’t be persuaded into paying for anything until the proper NHS funding assessments are carried out. 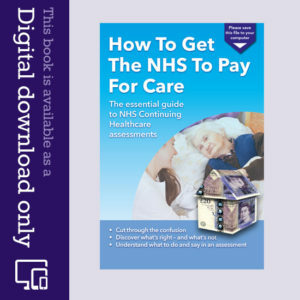 You will have much more leverage to get Continuing Healthcare assessments done quickly while your relative is still in hospital – because the hospital will want the bed back. 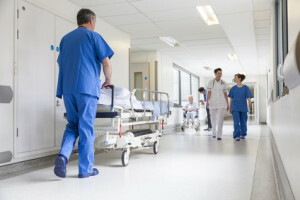 However, given how poorly many elderly people fare in hospital, you may reach a point where their safety and wellbeing takes precedence over everything else, and that would be entirely understandable. If your relative does not qualify for NHS Continuing Healthcare, no one should be forced into financial hardship by being asked to pay top up fees for them. (Remember, top up fees are only applicable to social care/means tested care. NHS Continuing Healthcare funding cannot be topped up – and you should never be asked to do so. A person does not need to have specialist nursing care to receive Continuing Healthcare funding. A person does not have to be at end of life to receive NHS Continuing Healthcare funding. 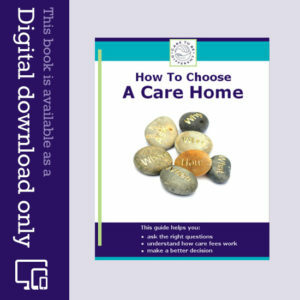 It can be at any stage of life and for as long as care needs indicate it is required. Read the National Institute for Health and Care Excellent (NICE) guidelines on the care of dying adults in the last days of life. Read more about what should – and shouldn’t – happen with NHS Continuing Healthcare assessments if your relative is in hospital. This site is going to be invaluable for me. My 84 year old husband (who I had been caring for for 6 years was admitted to hospital with a heart attack. He has Parkinson’s, is diabetic can only shuffle along with a walking aid. Also other ailments which can occur as you get older. Also his brain has gone a bit as he does not always understand what is being said. Spends all his time sitting down, mostly asleep. I received a phone call from the staff nurse at the hospital to discuss Henry’s (my husband) discharge. This was a shock to me as his condition had deteriorated and he needed help with getting up in the morning, washing, dressing etc. I am 80 myself with some health problems and as he is a heavy man I have never dealt with his personal care although I have done every other thing. Anyway it transpired that staff nurse had been told that I had a care package in place and things were ready for him to come home. I said this was not so as I would not know how to even set up a care package as I had no idea what he could manage to do regarding his personal care as he had been in hospital for around 5 weeks. She said she would look into it. Later that day I had a call from the occupational therapist also regarding Henry’s discharge and I repeated to her my conversation with the staff nurse. She told it was Henry himself who had told her I had a care package in place. To which I replied he had probably made it up or misunderstood something. I spoke to him later and he denied saying this but as his brain has gone a bit he could well have forgotten. (The hospital never speaks to me about anything as they say it is up to him to take decisions not me) I asked about the costs of care and the OT suggested the main thing was to get him home and then the funding for care could be assessed later. After the earlier call from the staff nurse I panicked and googled to see what I would have to do. IT WAS THEN I FOUND YOUR WONDERFUL SITE WHICH INFORMED ME THAT NHS CONTINUING HEALTH CARE FUNDING SHOULD BE ASSESSED BEFORE HE IS DISCHARGED. So when the OC suggested that funding could be assessed once he was home I was immediately on the alert. Thank you so much. I am now waiting for the hospital to contact me. Thanks for the link, Richard. My 94 year old mother was fast tracked under NHS CHC to a Home. Seven months later her funding was stopped and no NHS CHC offered and so we had to move to another Home which accepted local authority rates. She died 10 weeks later having just been turned down again for funding, the CHC nurse saying mum was maintaining her weight at 32 kg. She was dead 10 days later. At a local review meeting which was taped, the same nurse was there, they told me mum had no primary healthcare needs. There was no social worker present. I am hoping to appeal to NHS England. That sounds so distressing, Fiona. Wishing you well with your appeal. Even when awaiting a CHC assessment result, you can ask for another to be done. It was tried out on us to get us off their backs back in 2011 after we challenged the original assessment. (Eventually had both assessments overturned). But the point is exactly as you stated it ……. Circumstances can change very quickly. Therefore CHC assessments need to be arranged whenever they do. After all, my father-in-law kept getting visits by CHC nurses as a means of intelligence gathering when he was being funded. What is so wrong with demanding assessments in the same manner when circumstances change. That is also written into the National Framework. Something like ……… (some people will require more frequent reviews) ………. This statement in the Framework counts both ways. My situation dates back to February 2015 when my then 90 year old mum was diagnosed as terminally ill. Chronic kidney failure and a list as long as my arm. The doctor asked if she wanted last rights as mum is a roman catholic (she declined). An emergency medication cupboard was stored and signed papers from doctors and my mum for her not to be resuscitated and that if this lady was to pass away within 12 months that the doctor would not be surprised. We were informed mum had weeks to month to live not months to years. We still were receiving invoices for her care after this, which i queried to be informed mum did not have Continuing Healthcare. When I asked why, no one could tell me. I read an article on your website and phoned the nursing team and asked again why? They decided to fast track mum in April 2015. I have been contacted by the NHS stating that due to the fact mum has survived longer than 12 weeks she needs to be assessed. The asessment took place in our annexe where mum lives. A tick list as described was used and then the social worker (which mum had never met) The NHS Assessor and district nurse held a private meeting as the NHS assessor asked myself and husband if we would leave the room while they discussed the assessment. We left the room and some 10 mins later were asked to go back in. The NHS lady informed that they all agreed mum was not entitled to the CHC anymore. This was on 26/11/15. Mum has deteriorated and lots of things have changed yet we still have not had the report back and the decision in writing? There is conflicting messages from carers and nurses and we are so confused at the moment. Please can someone help as to the 12 weeks that mum has survived thats why they state they made the asessment. She has been given from the GP last February the awful news that she is terminally ill yet we are fighting for care? If your mum received CHC funding under the Fast Track, this may be reassessed – but the actual funding should not be removed unless her underlying care needs have genuinely reduced. The assessors at a regular review can only make a recommendation, not a decision. The decision is made by the CCG. Unless you have this decision in writing, there’s no decision – and so the funding cannot simply be removed. To do so would risk putting the local authority in an illegal position and risk incorrectly charging your mum for care.